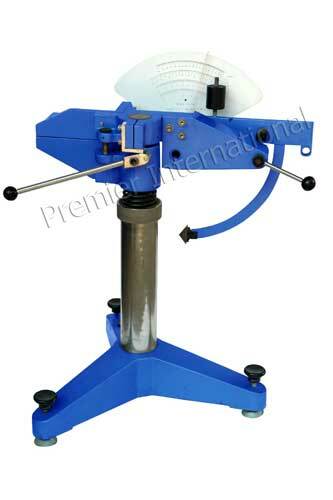 Premier International is one of the chief manufacturers and suppliers of Puncture Resistance Tester. The Puncture Resistance Tester supplied by us is used for determining the puncture resistance of corrugated board by measuring the energy required to puncture it. Interchangeable weights supplied to cover four energy ranges i.e. in new meter 0-5, 0-10, 0-20 & 0-36.